Hayden Gillim grew up in Kentucky, racing flat track from the age of three. The cousin of Nicky, Tommy and Roger Lee Hayden, he got his first motorcycle for Christmas at age six and in that same year he went on to win his first championship at the Amateur Dirt Track Grand Championships. Over the next decade, he won numerous amateur dirt track championships before finally getting his professional flat-track license in 2011. Beyond racing flat track he’s won multiple roadracing championships, competes in the MotoAmerica National Championships, and has raced in the MotoGP Red Bull Rookies Cup Series in both the United States and Europe. 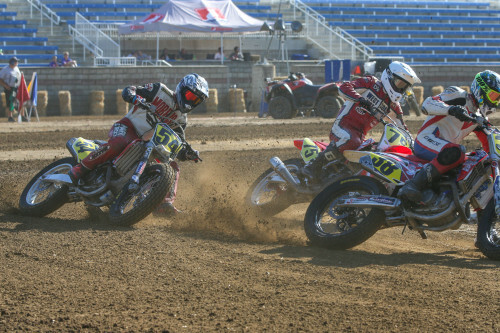 After riding the AFT Singles class in 2017, Gillim now competes in the AFT Twins class for select races during the 2018 American Flat Track Season. Riding the Indian Scout FTR750 for Indian Motorcycle and Cycle World, his “Man in a Van with a Plan” video series for Cycle World will be documenting the four races he’s racing in this season: The Buffalo Chip TT, Black Hills Half-Mile, Peoria TT and Springfield Mile II. At the Buffalo Chip TT, Gillim showed his TT skills with fast times on the technical track, coming fifth-fastest in practice and finishing fourth in the Main. 2017 Hayden Gillim rode in the AFT Singles division for the 2017 season, finishing 17th in the standings despite only racing select events. Showing his speed and skill on the TT tracks, he earned victories at both the Springfield TT and the Buffalo Chip TT. Finished 10th in the GNC2 standings thanks to strong results in only five starts. 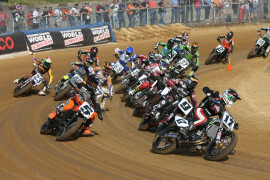 Won the Peoria TT, earned a podium in Daytona I and finished 10th at the Springfield Mile. Raced for Cycle World/Suzuki. Made three starts in GNC2, earning Top 10s in all three with a best result of fifth at Peoria. 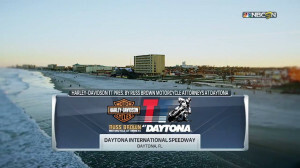 2014 Gillim, a full-time road racer, entered the Short Track at Daytona and reached the GNC2 main in the second half of the doubleheader. 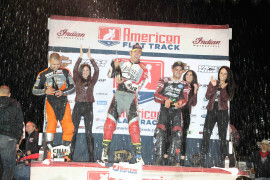 2013 Finished second in AMA Pro SuperSport East for the third consecutive season. Recorded two victories (NJMP R1 and Mid-Ohio R1) and seven Top 5s. Raced for Team 95/RM Racing Yamaha. Finished 13th in the Daytona SportBike finale at MRLS with Meen Motorsports Yamaha. 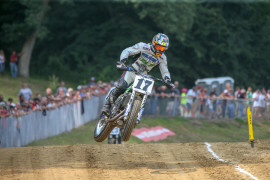 Finished in the top five in his only two starts of the season, both in the GNC2 class. Best race came in the first event of the season at Daytona. 2011 Gillim competed in GNC2, earning best finishes of third at Springfield and DuQuoin, and finishing the season 10th in the points. Raced with Bell Helmets Honda. 2010 Earned the prestigious AMA Sports Horizon Award at the AMA Road Race Grand Championships, contended WERA races to get acclimated to 600cc machines. 2009 Chosen to compete in the Red Bull MotoGP Rookies Cup; turned in a season-best finish of tenth at the opening Jerez round. 2008 Finished second in the Red Bull AMA U.S. Rookies Cup Championship, earning poles at Road America and Mid-Ohio and victories at Mid-Ohio and VIR. 2007 Finished seventh in the Miller round of USGPRU.